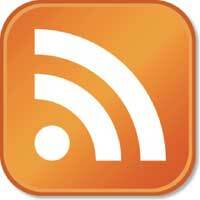 Really Simple Syndication or RSS has been the standard for web feeds for a considerable time. Web feeds contains either a summary or the full text content of a web page. The problem with RSS is the often confusing and non standard conventions used by RSS due in part to its scattered development. The advent of the ATOM syndication standard was a response to the design flaws of the RSS standard. The primary advantage of the ATOM is its adaptation as the IETF standard. Being an IETF standard, the ATOM needed to implement certain features that made the format easier to deal with. Each atom feed contains an explicit declaration of the format of the content along with what language is used. RSS feeds do not declare its content, but since it only contains plain text or escaped HTML, it is rather easy for the browser to distinguish which is which. A major flaw of RSS is in its code. RSS code isn’t really very usable in other XML vocabularies since it wasn’t really intended to do so at the very beginning. ATOM code has been built from the ground with modularity in mind. Therefore, a great majority of its code is reusable even with other XML vocabularies like RSS. Being the first syndication standard has been the primary factor in the rapid growth and popularity of RSS. RSS has been the preferred format for most people even to those who already know about the ATOM format. Podcasting was also derived from the RSS format when it added enclosure support in the 2.0 version. Even though ATOM has also been adapted to serve in podcasting, RSS still holds a great amount of this market. Most web sites, though not all, that offer web syndication only offers it in the RSS format, hampering the further advancement of the ATOM format. Supporters of the ATOM format also needs to add support for RSS so that those who only have RSS support can also see the content, which is still the great majority of people who subscribe to web feeds. Ben Joan. "Difference Between RSS and ATOM." DifferenceBetween.net. September 21, 2009 < http://www.differencebetween.net/technology/difference-between-rss-and-atom/ >.